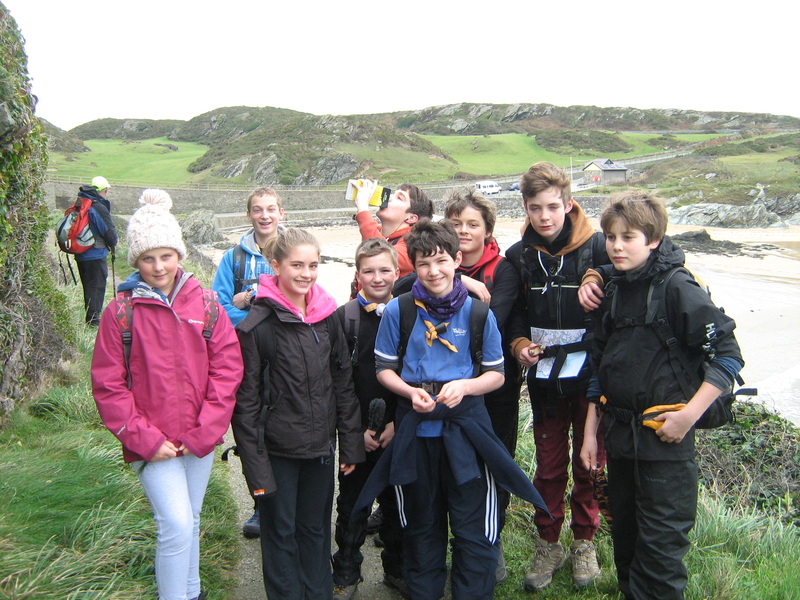 The scouts composed the following script to describe their walk round the Anglesey Coastal Path. 1. This year we have been walking round Anglesey on the Coastal Path. We completed the 126 mile walk in 6 weekends and one day. Chippy for our evening meal. behind and picked it up. from Red Wharf Bay to Traeth Lligwy where we camped the night. a total ascent of 534 meters on the Saturday. Power Station and no one seemed to care. giraffe and a cow that had escaped from the zoo. Rhoscolyn Head and finishing with a great sunset at Silver Bay. working there seemed pleased to see us. 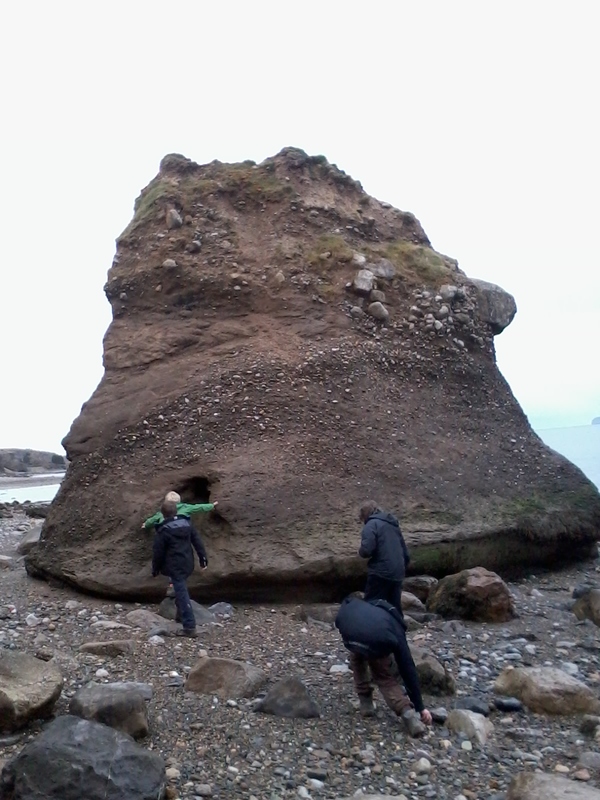 return to the mainland quickly because the tide was coming in. do later which would take us back to our starting point at Britannia Bridge. Britannia Bridge to complete our walk. supplied by the Friends of the Anglesey Coastal Path. Judy and Kathryn with gifts for their help on various parts of the walk. 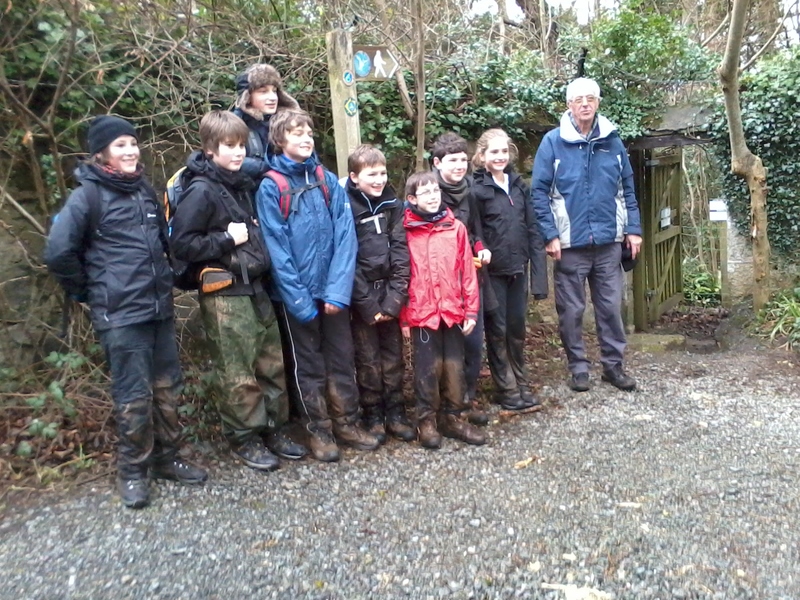 Everyone felt very pleased with their achievement. Just read this Geoff – it’s great !